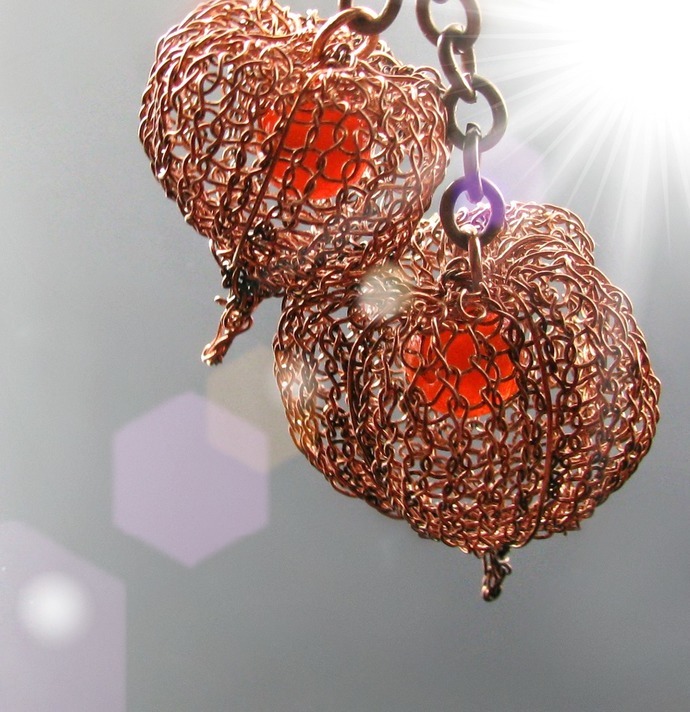 These Chinese Lanterns, skeletized physalis pods, are an original design of mine. 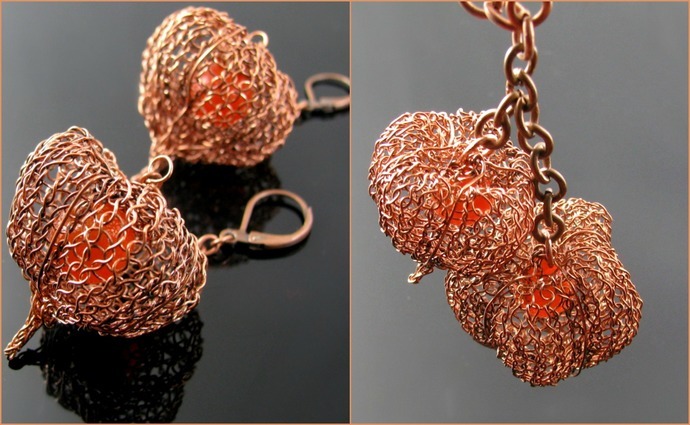 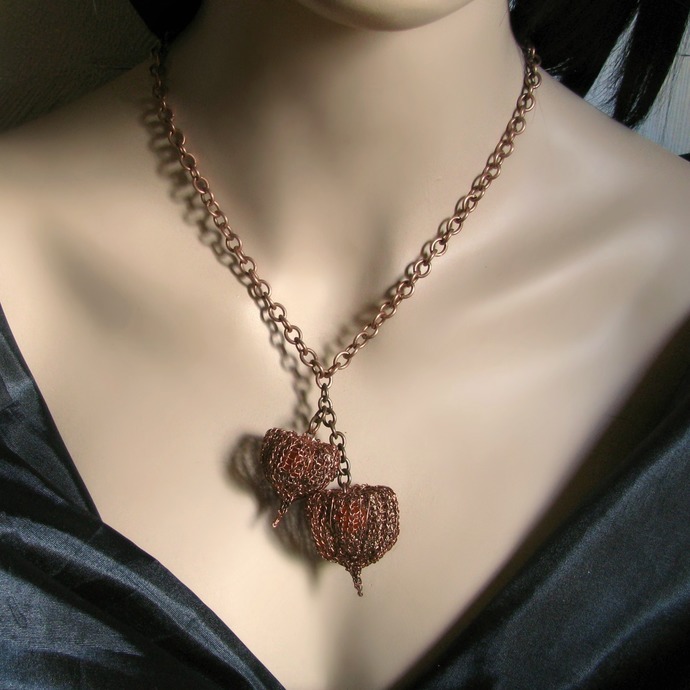 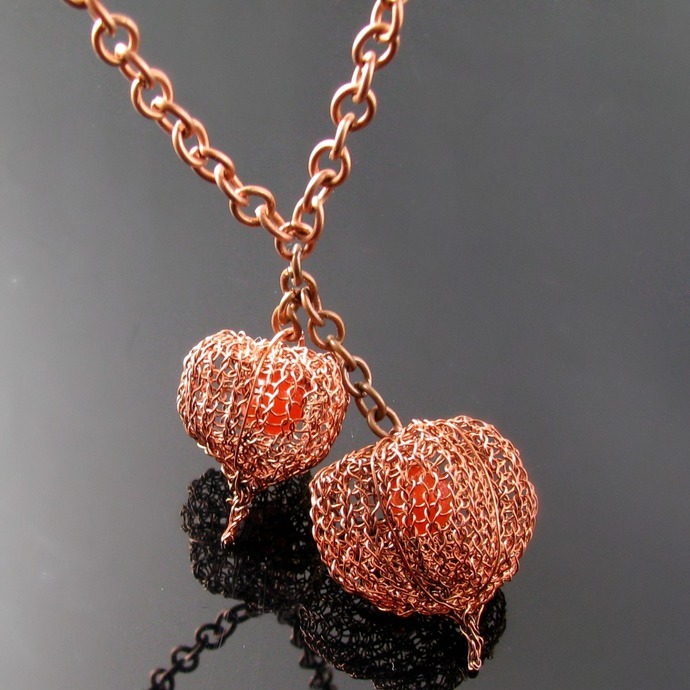 They are knitted from oxidized copper wire with a crochet hook and have orange glass bead "fruits" inside. 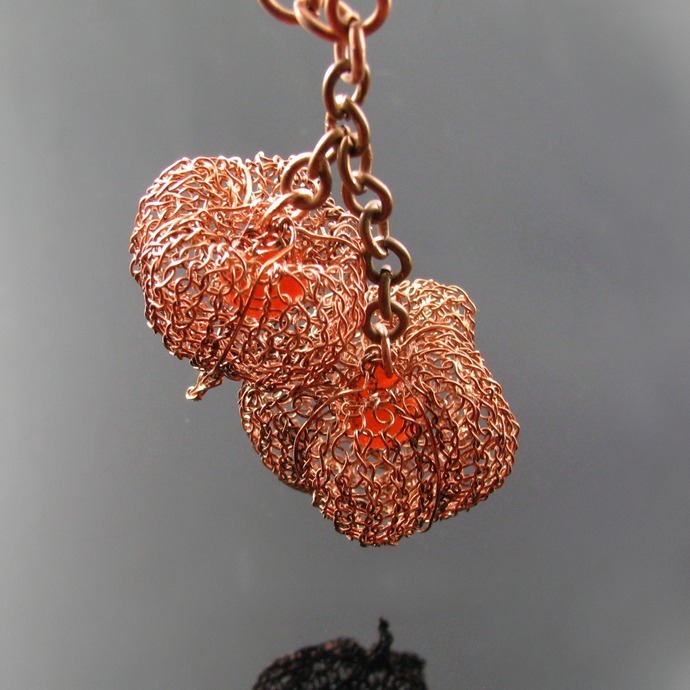 The pods in two different sizes dangle from a 45 cm or 17 3/4 inch antiqued copper chain, the dangle itself is 7.2 cm or 2 3/4 inch. 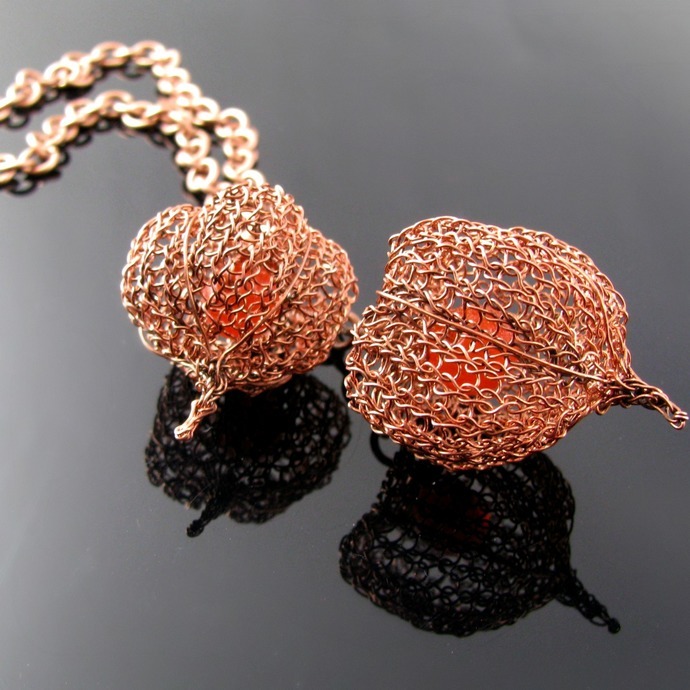 Would you like just a single pod pendant, send me a message.